It's not really about experience. It's about what we do with it. Our team of specialists are passionate about what we do. Given the fact that the company have grown on its own, ploughing the yields back into the company and not courted the external investor speaks a lot about the resilience power of the people that make Prope Mare Environment Agency. We realise that the company is only as good as the people we employ. Read on to meet the team. Kaimar is always eager to enrich his knowledge and develop his skills. His desire to learn and develop is what keeps him on the road. He stands apart for being a team player, a positive person and a quick learner. After graduating University of Life Sciences, he kept on going, taking up a master in environmental protection course. He is also a founder of the agency. Considering that any difficult situation has at least one solution we needed some who could "figure things out", and Kuldar is the best choice. He has the ability to understand a client's objectives. After graduating the Estonian University of Life Sciences, he achieved experience in spatial planning. His passion for a new knowledges lead him into obtaining a master's degree in environmental sciences. He is also a founder of the agency. Member of the Council of The World Conservation Union. 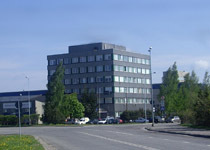 Institute of Agricultural and Environmental Sciences, Estonian University of Life Sciences, Professor. Research-administrative experience as a member of The World Conservation Union (IUCN), European Centre for Nature Conservation (ECNC), International Association for Landscape Ecology (IALE), Estonian Ministry of the Environment. Institute of Agricultural and Environmental Sciences, Estonian University of Life Sciences, Professor. Research-administrative experience as a member of International Ecological Engineering Society, International Association for Landscape Ecology, International Water Association, Estonian Geographical Society, Estonian Water Association. Institute of Agricultural and Environmental Sciences, Estonian University of Life Sciences, manager and lector of landscape architecture department. Research-administrative experience as a member of Estonian Landscape Architects Union (ELAU). Institute of Agricultural and Environmental Sciences, Estonian University of Life Sciences, lector of landscape architecture department. Research-administrative experience as a member of Estonian Landscape Architects Union (ELAU). We would like to thank all the people who worked with us over the past few years. They helped us become what we are today as a team and company, for which we are greatful. Thanks guys! We've settled in to our gorgeous office here in Tartu. Our passion is green service. We seek to work in a way that minimizes our impact on the environment. This can be seen if our faces light up when we discover that our clients are also keen to be green. For example we recycle all our waste paper and inkjet cartridges where possible. We are using 100% recycled paper. All used bottles will be recycled. Whenever possible, we cycle. We are using only licensed software.